47. Edition: Listen to/ Hört THE VOICES with Mbolo Yufanyi, and Co.
Read more about 47. Edition: Listen to/ Hört THE VOICES with Mbolo Yufanyi, and Co.
Seit October 1994: Die Kämpfe des Widerstandes der Flüchtlinge und der Gerechtigkeit werden durch unsere Kontinuität in Deutschland ermöglicht. Wir können nicht so tun, als hätten wir eine progressive Bewegung, ohne dass die politische Autonomie der Graswurzelbewegung der Flüchtlinge/MigrantInnen ihren eigenen Raum definiert und kontrolliert. Lasst unsere Kontinuität die erste Wahl für Gerechtigkeit in der Verteidigung unserer zentralen Werte sein! Steht ihr auf mit uns? Δεν γίνεται να προσποιούμαστε μια προοδευτική Κίνηση χωρίς τη πολιτική αυτονομία των λαϊκών προσφυγικών/μεταναστευτικών Κινημάτων, να καθορίζει και να επιβλέπει τους χώρους τους. 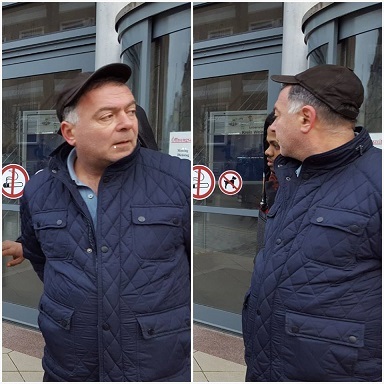 Με πρώτη μας επιλογή τη πορεία της δικαιοσύνης για την υπεράσπιση των βασικών μας αξιών. 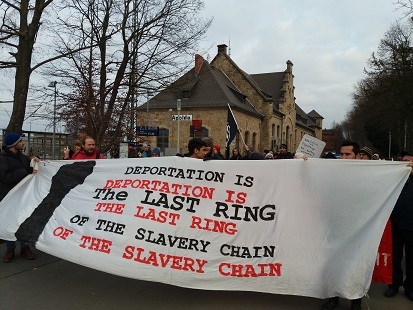 We cannot pretend to have a progressive Movement without the political autonomy of the Refugee/Migrant grassroots Movements to define and control their spaces. Listen to the 46th edition/ Hört den 46. 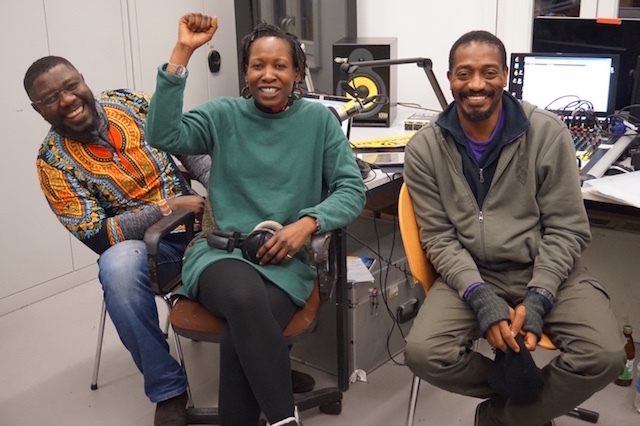 THE VOICES with Mbolo Yufanyi and Co.
•	The Refugee BLACK BOX - Struggles and VOICES - The VOICE Refugee Forum anniversary and the call for autonomous and independent funding. 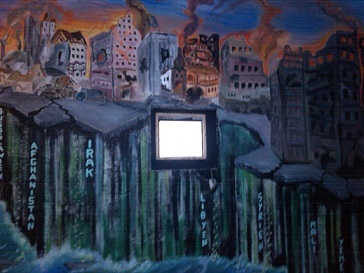 •	The Refugee BLACK BOX - Kämpfe und STIMMEN - Das Jubiläum des VOICE Refugee Forum und die Forderung nach autonomer und unabhängiger Finanzierung. •	The AFRICAN / BLACK Communities (ABC) - Die Herausforderungen der Frauen im ABC - Frau, Schwarz und Aktivistin sein. Sister Mathilda Legitimus-Schleicher (ABC): Frau, Schwarz und Aktivistin sein. Read more about Listen to the 46th edition/ Hört den 46. 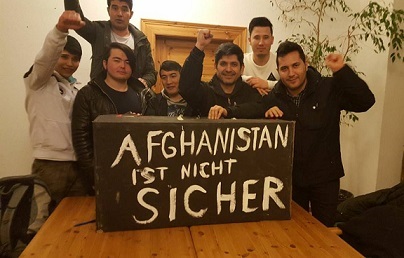 THE VOICES with Mbolo Yufanyi and Co.
Wir protestieren gegen die anhaltende Kriminalisierung und Einschüchterung mittels Abschiebeandrohung gegenüber Magsud Aghayev durch die Ausländerbehörde Apolda und das Bundesamt für Migration und Flüchtlinge. 1/18. Announcement: Dr. Magsud A. and his son make a fight! - We need your solidarity and support! Brother Brian Awino Nyawade has been laid to rest in dignity in his hometown in Kenya. 3rd and Final Press and Community Communiqué of the Kenyan Community, PEACE and The VOICE Refugee Forum Berlin. 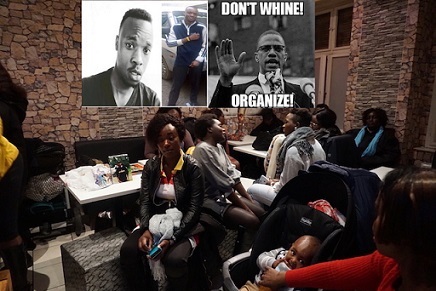 On behalf of the above-mentioned networks and the African/Black Community in general, we want to thank you for your engagement and support in bringing our brother Owino Nyawade Brian back home to rest. Read more about Brother Brian Awino Nyawade has been laid to rest in dignity in his hometown in Kenya. Yaya died in the prison cell in Hahnöfers, Hamburg. 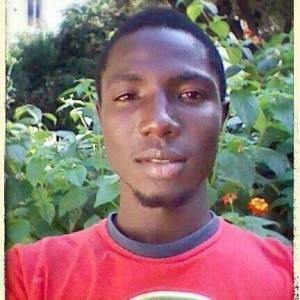 Yaya Jabbi* was arrested by the police on the 14 January 2016 at Hamburger Berg. He was accused of being in possession of 1.65 grams of cannabis. Four days later he was brought to Hahnöfers prison. In the night from the 18 – 19 February. Black lives matter! Exactly 3 Years ago / Today Newspaper – Stop Deportation! Kanha Chhun, a mother of two children is still not secured and protected in Erfurt / Germany. Today, Kanha was to be deported for the first time on the 23.02.2015. But she stood up to resist her deportation with her anti deportation community. 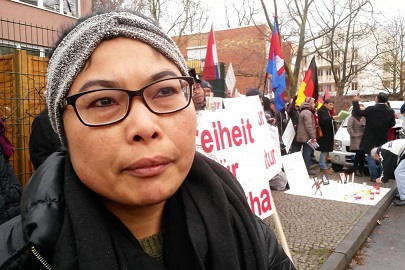 It was Kanha Chhun from Cambodia, The Voice Refugee Forum, the Oury Jalloh Initiative, Cross Point Activists, many people from the surrounding refugee camps met with many other activists who made clear the red line with their presence and determination to stop her deportation. When we say stop, we mean that too! We have a fight – No Compromise with injustice! No Deportation!! Greetings to all fighters! 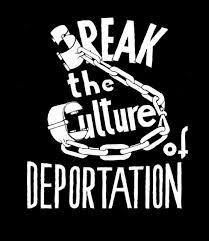 Stop deportation! 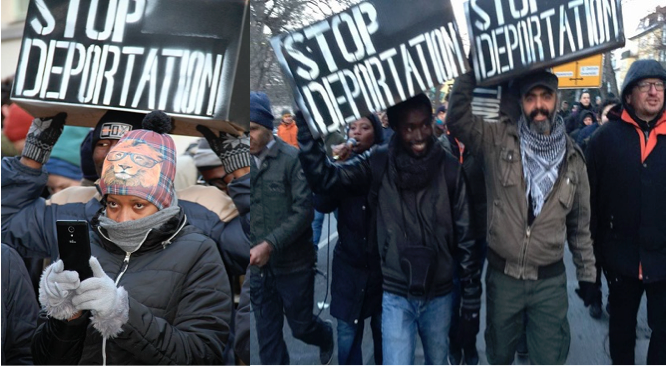 Read more about Exactly 3 Years ago / Today Newspaper – Stop Deportation! You can still donate to support the campain or for The Voice Refugee Forum – Support the Fighters! Zusammenlegen: Verfolgt & geflohen – Support Kanha! Cambodian Campaign - "Wee need freedom"
Zusammenlegen: Verfolgt & geflohen – Donation Support Kanha! Protest Deportation Deal Makers! No Deportation, No NATO, No War!!! Read more about Protest Deportation Deal Makers! No Deportation, No NATO, No War!!! Diesen Sonntag findet unser zweites General Meeting in Erfurt statt! Kommt vorbei, diskutiert und organisiert mit – gemeinsam gegen Abschiebung und Isolation!